Since I reached puberty when I was 11 years old, my face is full of pimples. As in lots of them. There is no such word as 'pimple' in my vocabulary, it's always 'pimpleS' with a capital S.
So what facial products did I use during school days? Well, the normal commercials facial brands such as Oxy, Clean and Clear, Neutrogena, etc. Does it work? Well, I'm not sure. Either my hormones were raging too hard or I just used the wrong product. So what facial products did I use AFTER school days? Well, the same. And guess what? I did NOT do the most basic steps. I did not cleanse, tone and moisture. Haha. Well, I did know about it. I did own some toners before but then after a few days, I became lazy and skipped the toner part. As for moisturizing, I always find the moisturizer too oily and made my face worse after using it. So I skipped that too. I cannot believe I spent so many years JUST cleansing my face. Fullstop. So naturally all my dead skin cells piled onto my face. And it got so bad that even when I scratched my fingernails through my face, I could see all my dead skin cells underneath my fingernails. Ewwww...i know. It just did not occur to me that I need to use the toner to remove the dead cells. *doink*. I just didn't know what to do then. So since I am turning 30 next year, I suddenly woke up and decided that I must do something about my face. I then decided that I would spend some money on facial products. 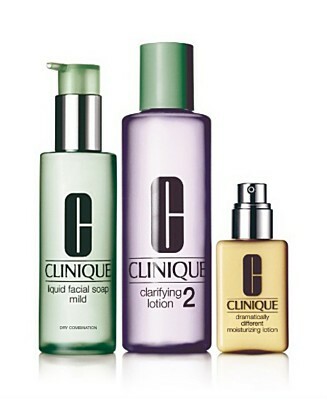 Then early this year, I grabbed the Clinique 3-step facial retailing at RM150, which I think is reasonably priced. And that was the first time I went near the cosmetic counters at Parkson! I actually did not do much research on why I chose Clinique. Maybe because I like that they were reasonably priced, and that they are dermatologically tested and is fragrance-free. Anyway, it was just a grab-and-go kind of decision. I told myself that I would use them twice daily without fail and see how long I would last. And surprisingly I did last. I still use them twice daily without fail. I am so proud of myself. And just by doing this basic 3-steps, I find my face became smoother and all the dead cells were gone! I was impressed and decided to go back to the Clinique counter for some advice. 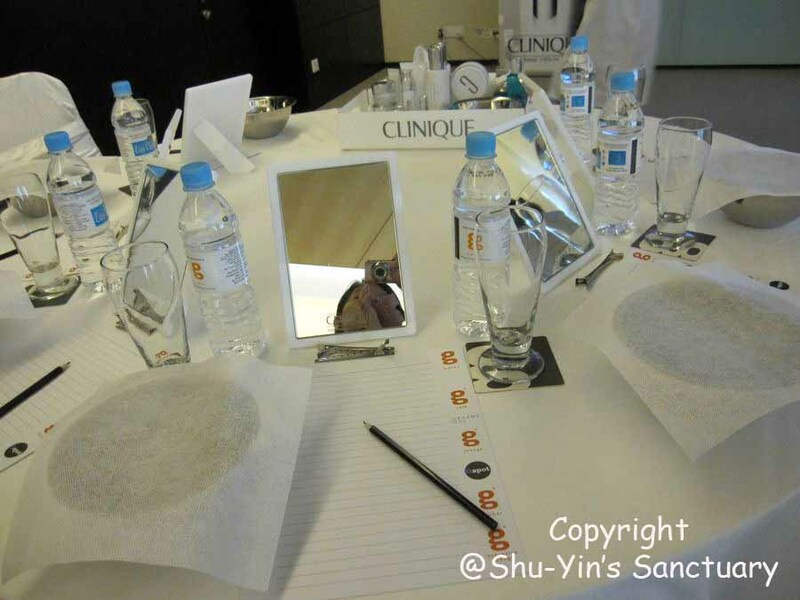 It was then that they asked me to attend their Clinique Workshop. 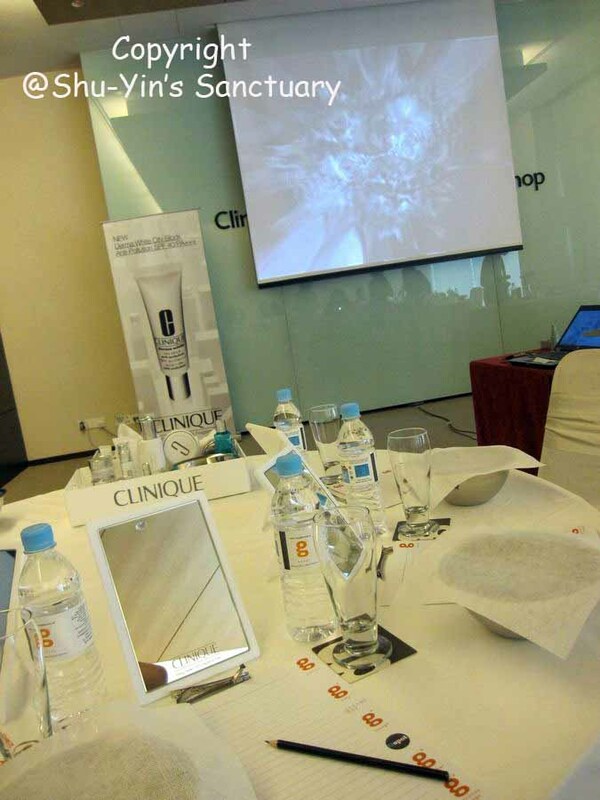 You pay RM150 and RM120 can be redeemed for Clinique products which means that you are paying RM30 for the workshop. They told me that at the 2-hour workshop, I would get to learn how to wash my face correctly and which products to use, etc. 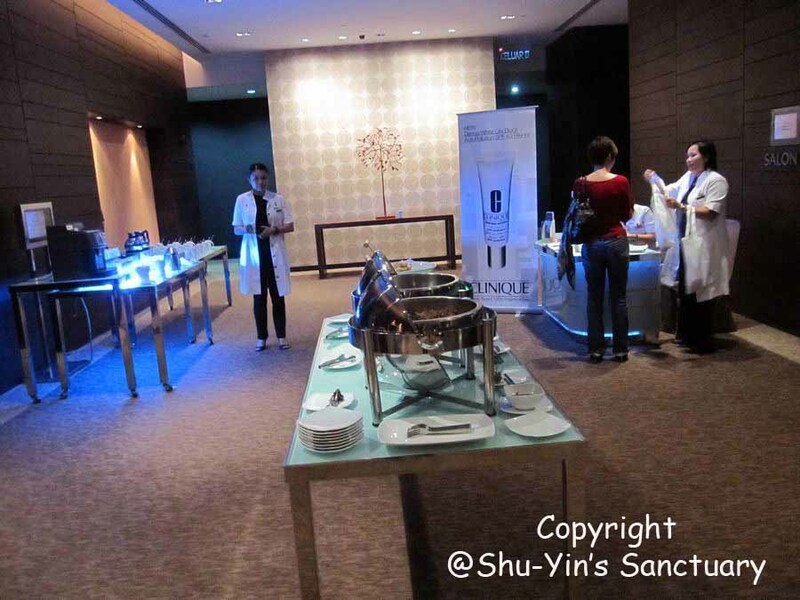 The Clinique Workshop is being held at G-Hotel, just next to Gurney Plaza which is very convenient for me. When I reached there, outside the room, there is a table of premium coffee and tea selection. Not being a coffee-person, I chose Earl Grey, something familiar. I initially felt a little weird because I knew no one there. There were about 5 of them already there. Then someone called out to me. She turned out to be hubby's friend. Well, what a small world indeed. After that, we were invited into a small room and there were four tables there. Six participants to a table. We were all already being assigned to a table and we sat at our respective tables, waiting for the other participants. This is how it looks like from where I was seated at my table (My table was in front). In front of me is a whole set of stuff: a mirror, two hair clips, a small bowl filled with water, a facial napkin on top of it, a bottle of mineral water with a glass, a paper pad with a pencil. Very well prepared. Once there only then I realized that this is a workshop promoting Clinique's latest brightening range called Derma White (the person who sold me the tickets did not tell me this). It started with a powerpoint presentation by a Clinique representative from KL explaining the history of Clinique and the breakthrough of their products. Even that was something new for me, since I am new to Clinique. Then they have this ice-breaking session where participants would get something if we answer correctly. After that we had a 15 minutes break for some snacks outside the room where the tea and coffee were. Snacks were delicious. Hehe. Then to the main part of the workshop; hands-on. One Clinique personnel to a table. Very good interaction. we were told to stip off our makeup or whatever we have on our face. 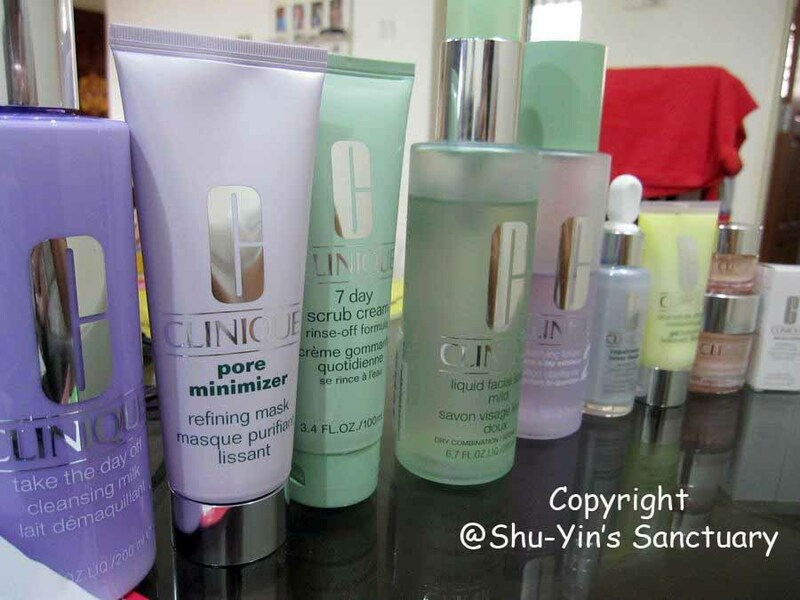 She guided us and gave us Clinique's products to use step-by-step. She provided us the facial cotton and all. For me it was very informative. I also get hands-on experience on how to wash my face, how to apply moisturizer and eye-cream, which products should be used first. What is the reason for using these products. Mostly used is the Derma White range, since they are promoting this. And the best part is, they don't give everyone the same product. Mine is the Dry to Normal Combination skin, so she gave me the one which suited me. And I learned that for my skin, I need to double-cleanse! And that I actually have very dry skin which eventually leads to my skin producing a lot of oil. I had always thought I have oily skin. After 2 hours sharp, the workshop ended. I then received a door gift which consists of a 6-piece Clinique travel pack. It was an eye-opener workshop for me. 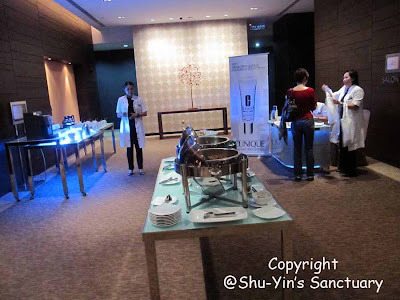 I find it interesting, not too draggy and worth the money; RM30 for the workshop using all their products, for the delicious snacks and premium tea and also for the travel pack worth RM170. Then I walked straight to the Clinique counter at Gurney Plaza to redeem my RM120. Ended up spending an extra RM300. I got myself a milk-based double cleanser, a mask and a scrub, laser focus repairwear to reduce pimple scars, moisture surge cream to lock in my moisture and an eye cream. And they threw in loads of free gifts and samples. I am still using it, for 3 months already. I guess Clinique suits me for now. p/s - This is NOT a Clinique Advertorial. It is all based on my personal experience. i like the moisture surge. once dried, it is not oily. ohhh......turnaround facial mask is good? what is it for? u using it? maybe i have to try it too. Shu Yin, seem to me that we have the same taste of cosmetics but my mum always train me since young about taking care our faces. I bought clinique for our wedding preparation and it's really good....and after finish using it, i stop buying it already cause it's really costly and i change to loreal till now...cheaper and affordable but clinique is really good. Saw a lot of air stewardass bought it the other day. They just swept their credit for Rm500 and more. u will feel the effect of the moisture surge even more when u stay in dry countries. just using the moisturizer does not do it for me during my stay in china, especially during winter. moisture surge helps so much! turnaround facial mask is like a scrub-like mask. suppose to scrub off the dead cells. i love it. it makes ur skin feel so super clean, it's incredible. i do use the 7-day scrub as well, coz you can't do the mask everyday. i also use the turnaround serum. u can also try their pore refining mask if u have fairly larger pores. Chiaoju...yes, I have the pore refining mask as well. It's the 2nd tube on the left in my photo rite? wah...ur turnaround facial mask sounds great. maybe next time i will try it. thanks for the recommendation. but u do have nice skin as well, chiaoju!